Man, days like today are great. A chill in the air but not too cold. A couple of plans, but the day wasn't too full. It was just perfect. I love Saturday mornings. Family time is so important and because our Sundays are usually jam packed we always try and keep our Saturdays open for just "us" time. Every morning when Eli wakes up he SCREAMS "DADA" and Luke goes and gets him, but Saturday mornings are special because he is able to bring Eli back to our bed and then we just lay in bed. Sometimes we watch TV, sometimes we try and get Eli to go back to sleep and sometimes we just talk and laugh. After about an hour and a half of just laying around we got dressed and went to Panera for breakfast. It's extremely overpriced and I always cringe when the cashier gives us our amount, but I also have an obsession with their souffles. So I pay the crazy prices. Later in the afternoon we had family pictures scheduled. 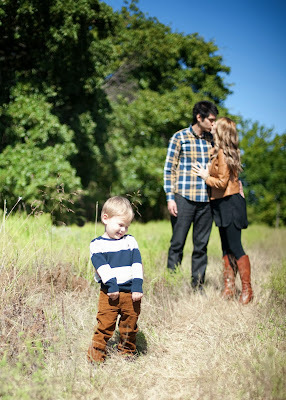 I really wanted to get some last family of three pictures before I get all big and pregnant. I didn't do maternity pictures last pregnancy but haven't completely ruled them out this time around. I think it would be cute to have some pics of my belly and Eli. But who knows. I could a couple of sneak peaks from today. Excited to see all of them! Then we came home and Eli napped, Luke watched football and I randomly watched scenes from various Lost episodes. SO RANDOM. I just started thinking about Lost and how much I love it and then one thing led to another and there I was sitting in my chair in the living room with my ipad perched on my lap watching Lost. So weird. We finished up our day with a trip to the park and then to Target. Two necessities in life. I am so thankful for days with little to no plans. I am a person who likes to go-go-go, but days every now and then with no plans just taking it easy are good for the soul! beautiful people...all three of you!!! 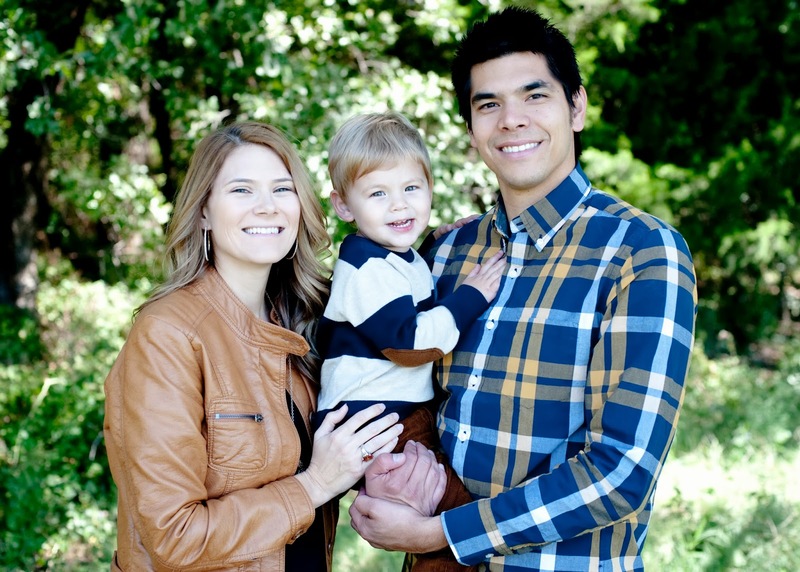 Your family pics are absolutely GORGEOUS!!! Just wow, what a stunning family!